Three dimensional (3D) bioprinting is the utilization of 3D printing–like techniques to combine cells, growth factors, and biomaterials to fabricate biomedical parts that maximally imitate natural tissue characteristics. Generally, 3D bioprinting utilizes the layer-by-layer method to deposit materials known as bioinks to create tissue-like structures that are later used in medical and tissue engineering fields. Bioprinting covers a broad range of biomaterials. Currently, bioprinting can be used to print tissues and organs to help research drugs and pills. However, emerging innovations span from bioprinting of cells or extracellular matrix deposited into a 3D gel layer by layer to produce the desired tissue or organ. In addition, 3D bioprinting has begun to incorporate the printing of scaffolds. These scaffolds can be used to regenerate joints and ligaments. The second approach of bioprinting is autonomous self-assembly. This approach relies on the physical process of embryonic organ development as a model to replicate the tissues of interest. When cells are in their early development, they create their own extracellular matrix building block, the proper cell signaling, and independent arrangement and patterning to provide the required biological functions and micro-architecture. Autonomous self-assembly demands specific information about the developmental techniques of the tissues and organs of the embryo. There is a "scaffold-free" model that uses self-assembling spheroids that subjects to fusion and cell arrangement to resemble evolving tissues. Autonomous self-assembly depends on the cell as the fundamental driver of histogenesis, guiding the building blocks, structural and functional properties of these tissues. It demands a deeper understanding of how embryonic tissues mechanisms develop as well as the microenvironment surrounded to create the bioprinted tissues. The third approach of bioprinting is a combination of both the biomimicry and self-assembly approaches, which is called mini tissues. Organs and tissues are built from very small functional components. Mini-tissue approach takes these small pieces and manufacture and arrange them into larger framework. Akin to ordinary ink printers, bioprinters have three major components to them. These are the hardware used, the type of bio-ink, and the material it is printed on (biomaterials). "Bio-ink is a material made from living cells that behaves much like a liquid, allowing people to "print" it in order to create a desired shape. To make bio-ink, scientists create a slurry of cells that can be loaded into a cartridge and inserted into a specially designed printer, along with another cartridge containing a gel known as bio-paper." There are several applications for 3D bioprinting in the medical field. An infant patient with a rare respiratory disease known as Tracheobronchomalacia (TBM) was given a tracheal stint that was created with 3D printing. 3D bioprinting can be used to reconstruct tissue from various regions of the body. Patients with end-stage bladder disease can be treated by using engineered bladder tissues to rebuild the damaged organ. This technology can also potentially be applied to bone, skin, cartilage and muscle tissue. 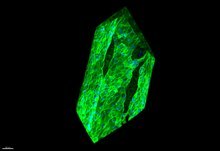 Though there are several examples of tissue engineering using 3D bioprinting technology and the end goal of reconstructing tissue is to reconstruct an entire organ there has been little success in printing fully functional organs due to inefficiency of the medical procedures needed in the process. Israeli researchers constructed a rabbit-sized heart out of human cells in 2019. ^ a b Singh, Deepti; Thomas, Daniel (2018-05-18). "Advances in medical polymer technology towards the panacea of complex 3D tissue and organ manufacture". American Journal of Surgery. 217 (4): 807–808. doi:10.1016/j.amjsurg.2018.05.012. ISSN 1879-1883. PMID 29803500. ^ Hinton TJ, Jallerat Q, Palchesko RN, Park JH, Grodzicki MS, Shue HJ, Ramadan MH, Hudson AR, Feinberg AW (23 October 2015). "Three-dimensional printing of complex biological structures by freeform reversible embedding of suspended hydrogels". Science Advances. 1 (9): e1500758. doi:10.1126/sciadv.1500758. PMC 4646826. PMID 26601312. ^ Thomas, Daniel J. (August 2016). "Could 3D bioprinted tissues offer future hope for microtia treatment?". International Journal of Surgery. 32: 43–44. doi:10.1016/j.ijsu.2016.06.036. PMID 27353851. ^ Nakashima, Yasuharu; Okazak, Ken; Nakayama, Koichiet; Okada, Seiji; Mizu-uchi, Hideki (January 2017). "Bone and Joint Diseases in Present and Future". Fukuoka Igaku Zasshi = Hukuoka Acta Medica. 108 (1): 1–7. ISSN 0016-254X. PMID 29226660. ^ a b c d e Shafiee, Ashkan; Atala, Anthony (2016-03-01). "Printing Technologies for Medical Applications". Trends in Molecular Medicine. 22 (3): 254–265. doi:10.1016/j.molmed.2016.01.003. PMID 26856235. ^ a b Ozbolat, Ibrahim T. (2015-07-01). "Bioprinting scale-up tissue and organ constructs for transplantation". Trends in Biotechnology. 33 (7): 395–400. doi:10.1016/j.tibtech.2015.04.005. PMID 25978871. ^ a b c Chua, C.K. ; Yeong, W.Y. (2015). Bioprinting: Principles and Applications. Singapore: World Scientific Publishing Co. p. 296. ISBN 9789814612104. Retrieved 17 February 2016. ^ a b c Cooper-White, M. (1 March 2015). "How 3D Printing Could End The Deadly Shortage Of Donor Organs". Huffpost Science. TheHuffingtonPost.com, Inc. Retrieved 17 February 2016. ^ Thomas, Daniel J. (2016-01-01). "Could 3D bioprinted tissues offer future hope for microtia treatment?". International Journal of Surgery. 32: 43–44. doi:10.1016/j.ijsu.2016.06.036. ^ a b Harmon, K. (2013). "A sweet solution for replacing organs" (PDF). Scientific American. 308 (4): 54–55. doi:10.1038/scientificamerican0413-54. Archived from the original (PDF) on 2016-02-17. Retrieved 17 February 2016. ^ a b c d e Murphy, Sean; Atala, Anthony (August 5, 2014). "3D bioprinting of tissues and organs". Nature Biotechnology. 32 (8): 773–85. doi:10.1038/nbt.2958. PMID 25093879. ^ a b c d Yoo, James; Atala, Anthony (2015). "Bioprinting: 3D printing comes to life". Manufacturing Engineering. ^ Thomas, Daniel; Singh, Deepti (2018-06-12). "Novel techniques of engineering 3D vasculature tissue for surgical procedures". The American Journal of Surgery. doi:10.1016/j.amjsurg.2018.06.004. ISSN 0002-9610. ^ John J Manappallil (2015). Basic Dental Materials. JP Medical Ltd. ISBN 9789352500482. ^ "3D Printing Technology At The Service Of Health". healthyeve. Retrieved 4 August 2016. ^ Zolfagharian, Ali; Abbas Z. Kouzani; Sui Yang Khoo; Bijan Nasri-Nasrabadi; Akif Kaynak (2017). "Development and analysis of a 3D printed hydrogel soft actuator". Sensors and Actuators A: Physical. ScienceDirect. 265: 94–101. doi:10.1016/j.sna.2017.08.038. ^ Zolfagharian, Ali; Abbas Z. Kouzani; Sui Yang Khoo; Ian Gibson; Akif Kaynak (2017). "3D printed hydrogel soft actuators". Region 10 Conference (TENCON), 2016. IEEE. pp. 2272–2277. doi:10.1109/TENCON.2016.7848433. ^ "Bioresorbable Airway Splint Created with a Three-Dimensional Printer". The New England Journal of Medicine. 368: 2043–2045. 2013. ^ "Tissue-engineered autologous bladders for patients needing cystoplasty". Lancet. 367: 1241–1246. 2006. ^ "3D bioprinting and itsin vivoapplications". Society for Biomaterials. 2017. ^ "Implementations of 3D printing in ophthalmology". Graefe's Archive for Clinical and Experimental Ophthalmology. 2019. ^ "Israeli scientists create world's first 3D-printed heart using human cells". NBC News. Retrieved 2019-04-20. ^ Crawford, M. (May 2013). "Creating Valve Tissue Using 3-D Bioprinting". ASME.org. American Society of Mechanical Engineers. Retrieved 17 February 2016. ^ Murphy, S.V. ; Skardal, A.; Atala, A. (2013). "Evaluation of hydrogels for bio-printing applications". Journal of Biomedical Materials Research Part A. 101A (1): 272–84. doi:10.1002/jbm.a.34326. PMID 22941807. Vishwakarma, Ajaykumar (2014-11-27). Stem Cell Biology and Tissue Engineering in Dental Sciences. Elsevier, 2014. ISBN 9780123971579.